When a friend of mine told me this week that he was going to try one of the recipes from my blog, but had to go out to buy some cumin first, I was quite proud but mostly incredibly amused. 'Buy cumin?!' I scoffed with a pretentious chuckle. 'You don't have any? Why don't you take some from our store-cupboard, would you like it ground or in seeded form?' Admittedly, I found it strange...but then again, most people would probably find it strange that I have two kinds of cumin in the house. And most normal people wouldn't have three half-empty bags of arborio rice lying around calling out for a mid-week risotto. 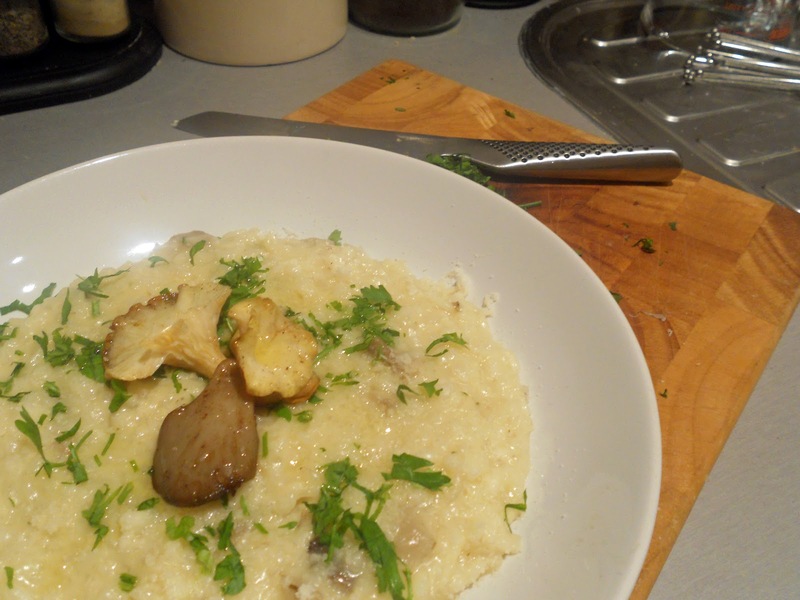 But I don't particularly care - I bloody love risotto. 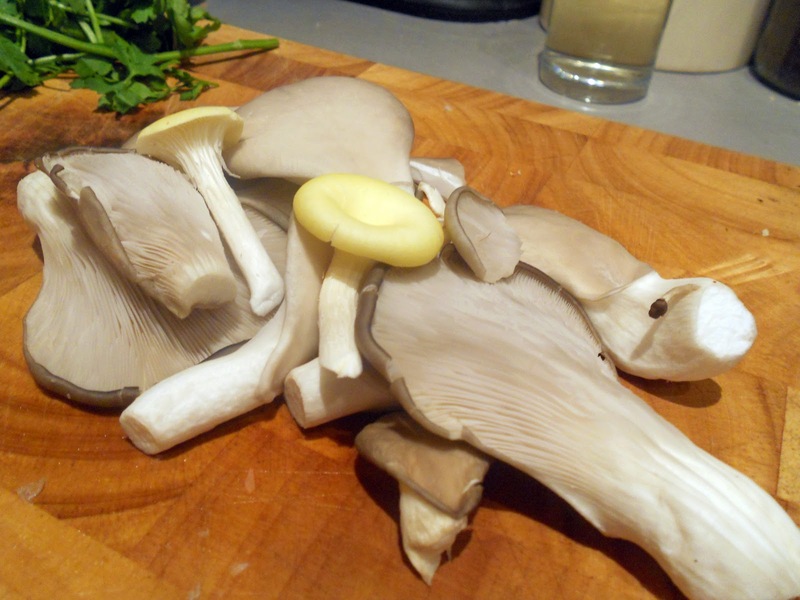 We used these oyster mushrooms which, apart from tasting delicious, look really awesome. 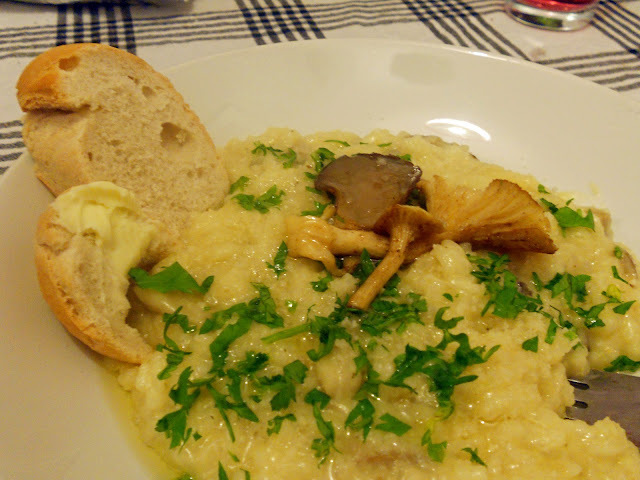 As a kid I never used to like mushrooms, these days I absolutely love them. Throw some chestnuts in a bolognese, a fat portobello on a steak..they're just so much fun, guys. I also learnt this week that mushrooms are neither plant nor animal...which, I'm not going to lie, totally blew my mind. 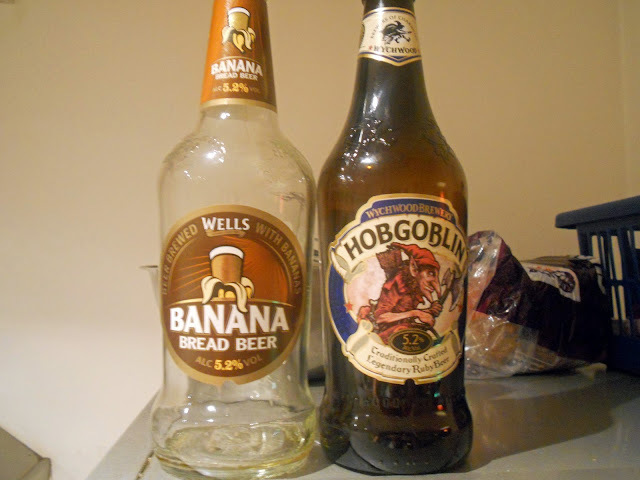 Anyhow, keep a few aside as a nice chunky garnish and roughly chop the rest, stalks and all. 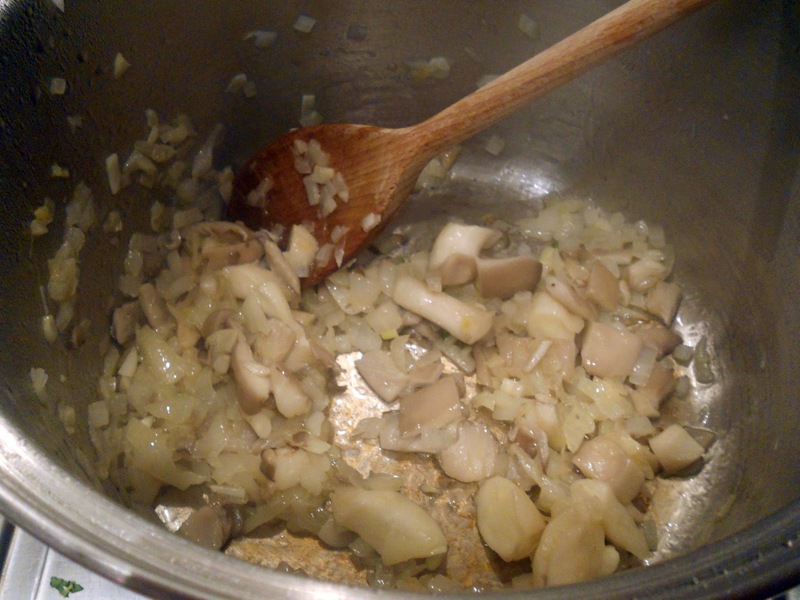 Sweat off the diced onion and garlic in a bit of olive oil, throw in the chopped mushrooms and let them saute for a couple of minutes. Bask in the amazing oniony/garlicy/mushroomy smell that starts to take over your kitchen. Happy days. Tip in the rice and cook off for a minute or so, stirring constantly and making sure it's completely coated in the oil - pour a bit more in if you need. Add the wine, stirring until the alcohol's cooked off. Now's when you need to show some patience - pouring the stock in one ladle at a time, stirring to make sure the rice has absorbed all of the liquid before you add any more. This should take about 30 minutes or so - having an open kitchen and a decent game of football on the TV helps a lot. Having an open kitchen and a poor game of football on the TV does not. 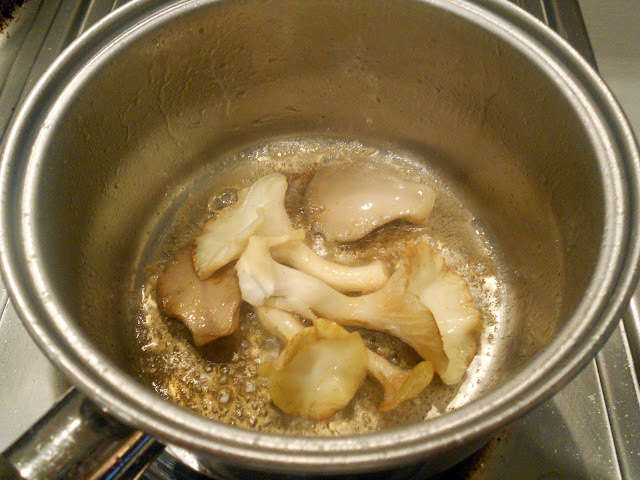 Saute the leftover whole mushrooms in a little bit of butter for a minute or two, tops. A generous seasoning of salt and pepper and that's all they need. If you like mushrooms, these are going to taste amazing. 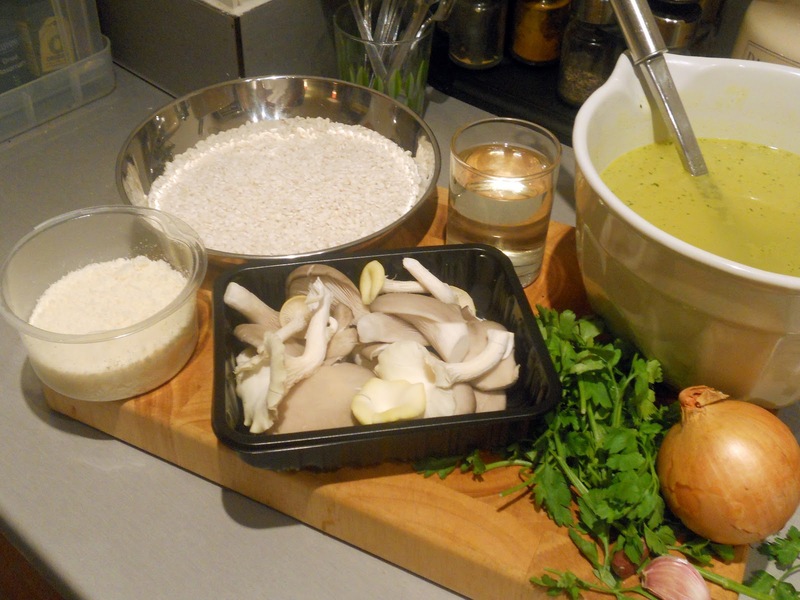 If you don't like mushrooms, you probably shouldn't be making mushroom risotto. 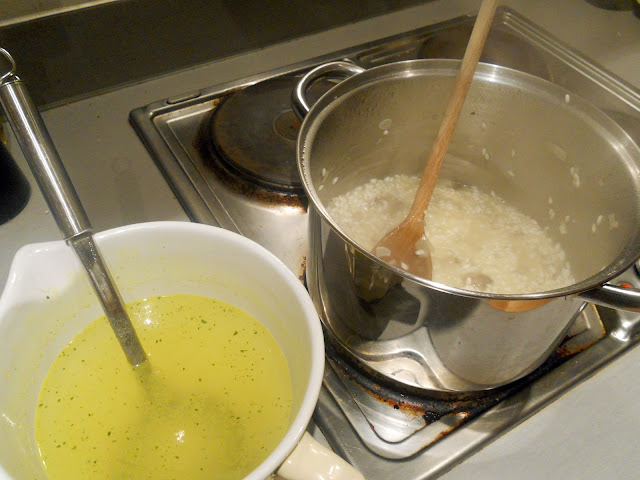 Once the stock has all been absorbed, and the risotto has a nice al dente texture, then you're good to go. 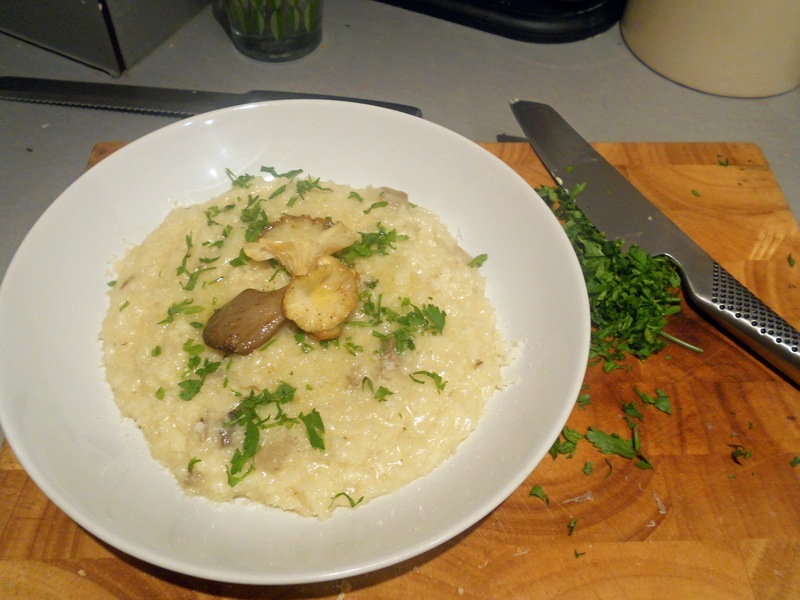 Take it off the heat, finish with a nice chunk of butter, a good handful of parmesan and some chopped parsley. Serve to friends, let them tell you it was delicious, make them do the washing up. Finito.